Do you want to know how much time you spend on all the little things in your life? Watering flowers? Talking to your boss? Arguing with the accountant? Breaking down some sweet dance moves by the water-cooler? If tracking time is your thing, then you should give Toggl a spin. You'll love it, we promise. 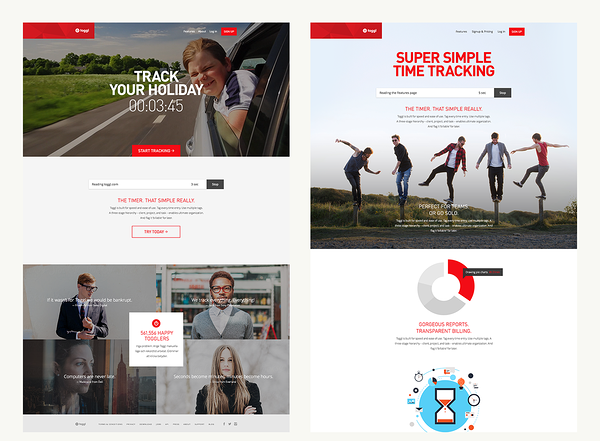 The redesign of Toggl's product web revolved around a straightforward mantra: "keep it simple, guys". Tracking time is simple. Why should the web be any different? Homepage video music: Sander Mölder.